Chest pain can be due to several causes, and may not be specifically related to the heart. Cardiac sounding chest pain is usually experienced as chest tightness, or pressure in the chest. It is often experienced in the centre of the chest but may spread to either arm, the shoulder or the jaw. It is often exertional in nature and lasts minutes rather than hours. Patients with this description should seek prompt medical attention. Muscular skeletal pain. This is often tender to touch or aggravated by movement. Burning pain may occur in the centre of the chest, and be due to acid reflux from the stomach or a hiatus hernia. This type of pain may be aggravated or relieved by fluids and food. Not usually exertion related, and can often wake you up at night. Breathing related pain. This is usually sharp pain often aggravated by breathing. Usually reflects a lung cause, such as infection, clots on the lung, or inflammation of the lung lining; so called “pleurisy”. Inflammation around the heart; “pericarditis”, can also present this way. Other causes of chest pain may be caused by enlargement or tearing of the aorta; so called aortic aneurysm. If in doubt, or for continuing symptoms, seek urgent medical attention. Cardiac related chest pain is not always typical, and can appear as gut or lung related. Patients can experience this in relation to lung or heart conditions. If symptoms are sudden or rapidly progressive, this usually indicates a more serious cause such as a chest infection, a burst lung, a lung clot or a heart attack. If there is a characteristic chest pain description (not always the case), this may indicate whether this is lung or heart related. For such sudden or severe symptoms, seek medical attention. For slowly progressive symptoms, simpler causes such as progressive weight gain or anaemia are possible. However more slowly progressive lung or heart causes are also possible. From a cardiac point of view, we would want to exclude heart muscle damage and heart failure (see Heart Failure). Certain medications such as blood pressure pills can also cause breathlessness. This is defined as an awareness of one’s heart beat. Usually one is not aware of one’s own heart beat unless when anxious or undergoing physical exertion. Patients tend to notice it when they would not expect it. Often experienced as a “missed beat”, or an extra “thump”, implies extra heart beats which are often benign. 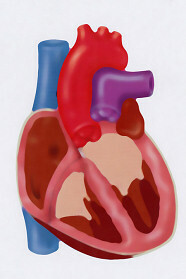 Although such symptoms are usually harmless, they can occasionally signify underlying structural abnormalities of the heart. More sustained palpitations could be due an abnormal electrical circuit within the heart. Diagnoses include atrial fibrillation (see atrial fibrillation), where the heart rhythm is erratic and irregular. Sometimes an extra bit of electrical wiring within the heart will cause a regular fast heart rate (see under tachycardia). Symptoms are usually self limitin, lasting from minutes to hours and may be associated with dizziness and shortness of breath. Although a resting ECG may provide an indication to the cause; if the symptoms are sporadic then the ECG can be normal. Investigation of the cause usually requires ambulatory ECG monitoring to capture the rhythm disturbance. This can be difficult to describe and commonly confused with giddiness. Giddiness usually means that the room is spinning around you and is more likely to be related to the balance centres. Dizziness is experienced as a light headed feeling, and the patient may feel he is going to pass out. In young people this can be common with “simple faints”; especially in relation to emotional events, the sight of blood, etc. This is frequently due to activation of an inappropriate reflex that slows the body down with either a slow heart rate or low blood pressure. This is termed as “vasovagal syncope” and can be investigated with a “Tilt Table Study” (see under Cardiac Tests). However occasionally, especially when associated with actual black outs or injuries incurred with falling, or a family history of black outs, a more serious cause such as arrhythmia needs to be excluded. Dizziness may also be related to anaemia, low blood pressure, heart valve narrowing, and new medications (especially blood pressure pills). Dizziness may be related to a slow heart rate (Bradycardia) usually in older patients. Or it can be related to fast heart rates (tachycardia), especially if associated with palpitations. Abnormal muscle thickening (hypertrophic cardiomyopathy) can also be a cause. This is an uncommon but important condition that needs to be excluded. This symptom is alarming particularly if recent in onset. Consider heart causes such as heart valve narrowing, abnormal heart muscle thickening, and electrical disturbances (where the heart rate may be too fast or too slow). Blackouts may also be caused by brain causes such as epilepsy. This is called oedema, and usually affects the legs. It can occur in most people who have been sitting for a long time (especially after air travel). Commonly can be due to blood pressure pills, but heart failure and kidney disease needs to be excluded. In order to exclude heart failure as a cause, then echocardiography is often undertaken. Other causes of oedema include low protein in the blood stream or kidney dysfunction.